144, that's not going to make up for the poor last round. At first glance, it looks like a seriously tight race for most people. 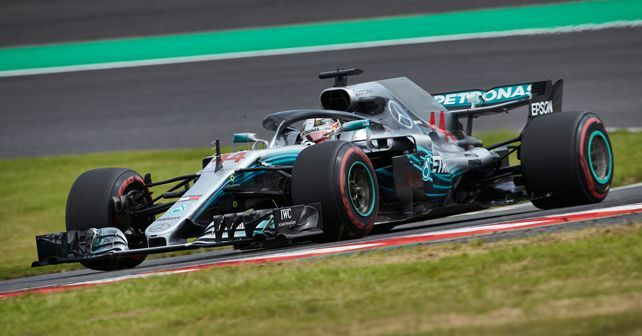 The start of the race saw pole man lead away from his teammate Bottas followed by Verstappen, whilst Vettel quickly made his was from 8th to 5th place. A safety car was called after a clash between Magnussen and Leclerc left Magnussen with a rear puncture and he trailed debris around the track. At the restart Raikkonen got a run on Verstappen which caused him to slightly miss the chicane, he rejoined the track and ran into the side of Raikkonen in the process damaging Raikkonen's car and pushing him off the track for which Verstappen got a 5 second penalty, this allowed Vettel into 4th in front of Raikkonen. It was now Vettel's turn to challenge Verstappen as he tried passing going into spoon corner however Verstappen did not leave enough room and the two cars collided, Verstappen ran off the track whilst Vettel spun to the back of the field. At the front Hamilton coasted to victory whilst Bottas had Verstappen challenging him for second place in the last third of the race but to no avail, Ricciardo finished 4th a fine recovery drive from 15th on the grid whilst Raikkonen finished 5th struggling with damage to his car, in 6th was Vettel recovering after his spin. In third place with 157 points and receiving the "Fiesty Verstappen Trophy"
In second place with 166 points and receiving the "Reliable Bottas Trophy"
In first place with 171 points and receiving the "Samurai Hamilton Trophy"
Finally a good result to revive my flagging campaign! Now I need more of the same. The top 3 are opening up a bit of a gap though..
Not to mention the likelihood of a crazy result in Brazil if it rains. This is the closest it's been for the last few years, like you say there is a long list of potential winners. Very true. Two 200+ scores wouldn't actually make that much difference if they're accompanied by two sub-100 scores. Last edited by TheDamus on Fri Oct 19, 2018 12:19 pm, edited 1 time in total. Last edited by cm97 on Fri Oct 19, 2018 11:03 am, edited 1 time in total.